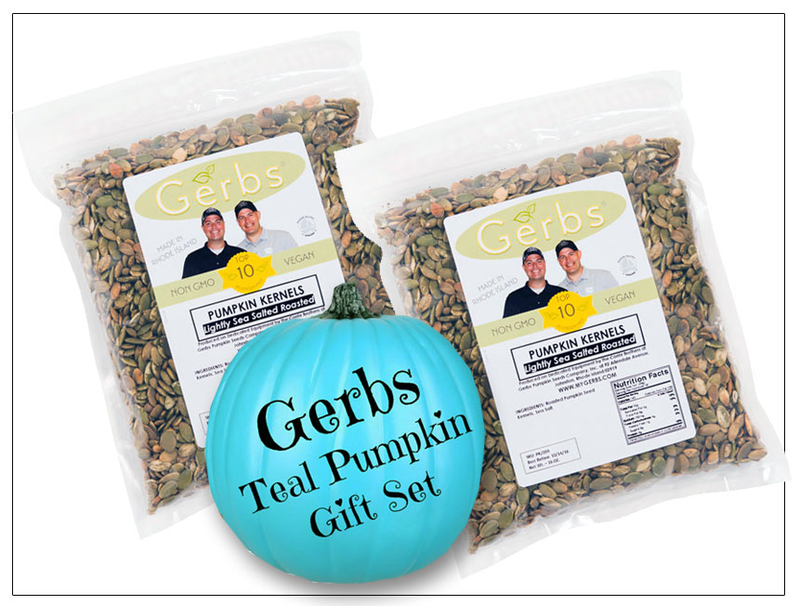 Gerbs is now offering two Gift Sets to support the Teal Pumpkin Project which is raising awareness of Food Allergies and promoting inclusion of all trick-or-treaters throughout the Halloween season. 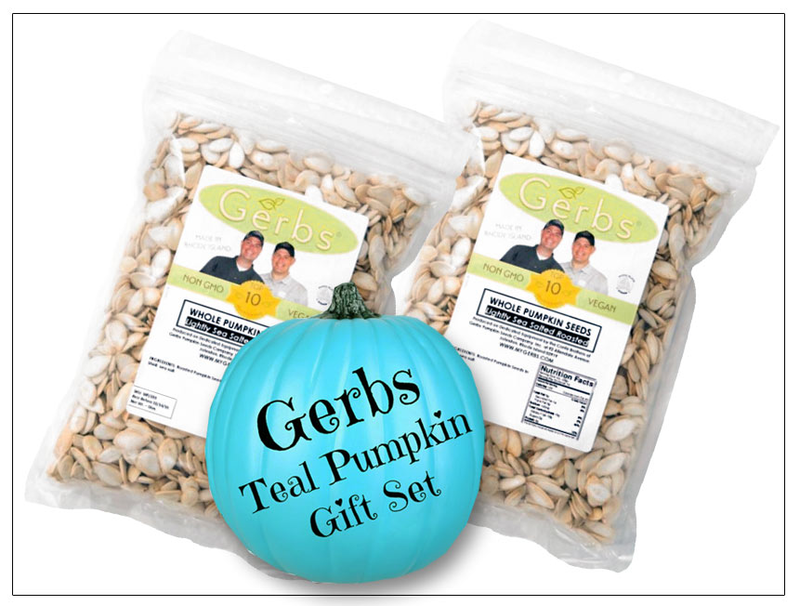 Each has a decorative Teal Pumpkin that you can decorate and two, one pound bags of Lightly Salted Pumpkin Roasted Kernels. HAPPY HALLOWEEN!